The Durand line is a term for the poorly marked 2,450 kilometer (1,519 mile) border between Afghanistan and Pakistan. After being defeated in two wars against Afghans, the British succeeded in 1893 in imposing the Durand line dividing Afghanistan and what was then British India (now NWF Province and Balochistan of Pakistan). Named for Sir Mortimer Durand, the foreign secretary of the Indian government, it was agreed upon by representatives of both governments. One of the two representatives of the Afghan government was the revered Ahmadi Sahibzada Abdul Latif of Khost. The border was drawn intentionally to cut through the Pashtun tribes. Afghanistan's loya jirga of 1949 declared the Durand Line invalid. Today, the line is often referred to as one drawn on water, symbolizing the porous border between Afghanistan and Pakistan. The line has come under special attention of late, as it has become notorious for allowing Taliban fighters and terrorists to freely travel back and forth, finding safety and shelter in the autonomous Pashtun regions of northwestern Pakistan. However there is a lot of scapegoating and disinformation in such claims. Pashtuns in Pakistan have become well integrated as Pakistanis and are prominent in Pakistani armed forces, business and politics. Some Pashtun tribes in Afghanistan still want to dissolve the Durand Line, however this is no longer possible nor desired by Pakistani Pakhtuns. 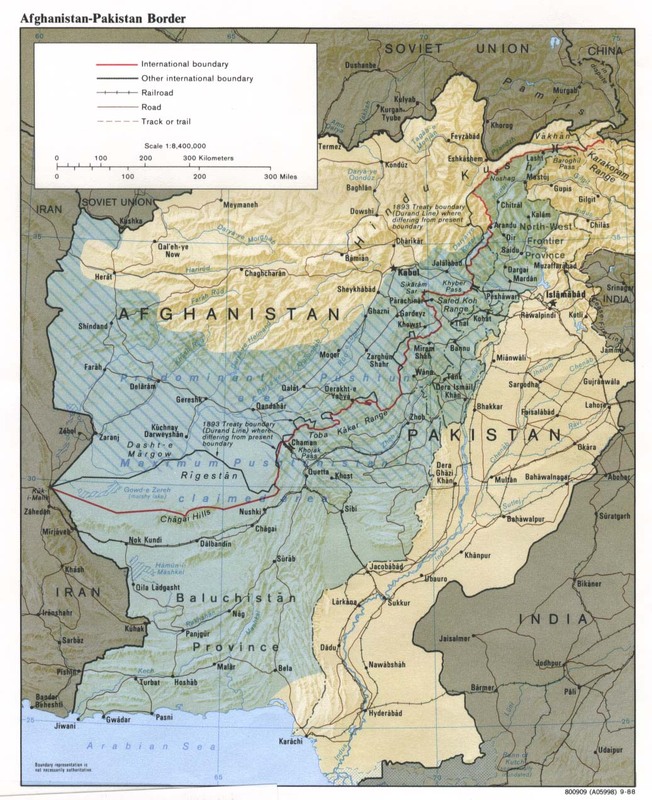 In hindsight, the Durand Line saved Pakistani Pakhtuns from the destruction of Afghanistan post 1980. This page has been accessed 3660 times.